The historical VK in the Dolomites this year changed their name to DoloMyths Run Vertical Kilometer®, but the epic race remains the same, a magnet for top runners from around the world. 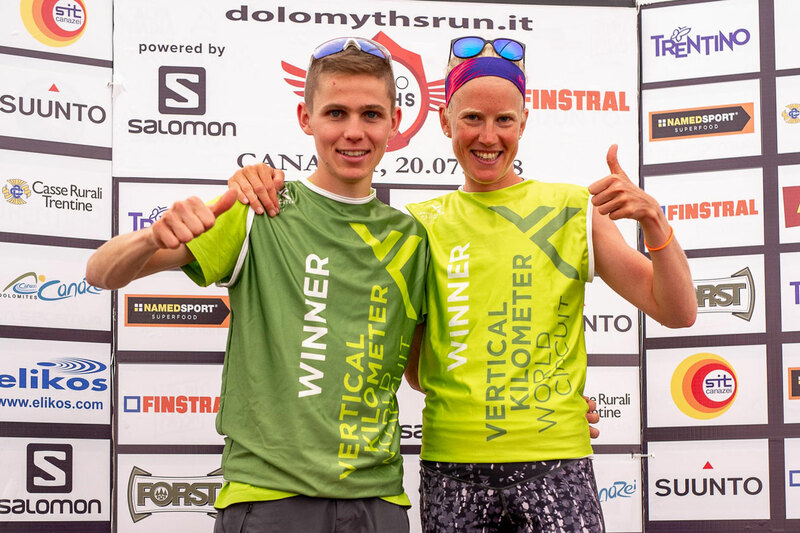 The seventh leg of the Vertical Kilometer® World Circuit saw Italian Davide Magnini and Switzerland’s Victoria Kreutzer victorious in Canazei, July 20. The short, steep 2.6 km course with a perfect 1,000m vertical climb, topping out at 2,465m at the Creipa Negra summit is one of the highlights of the VKWC season. It’s no wonder 188 runners from 24 countries toed the start-line here, looking for the extra 50% bonus points at stake. The elite men’s wave saw Italians Davide Magnini and Nadir Maguet start really strong. The two ran together for most of the race, but close to the Forcella Pordoi Magnini accelerated to close in 32’35”, 30” ahead of Maguet. Third man was Slovenian Nejc Kuhar with yet another podium place here. The ladies’ race was dominated by Kreutzer, who led for the whole race and finished in 38’46”. The podium was completed by rising star Lina El Kott from Sweden and VK World Champion, Spaniard Laura Orgué. “Today was tough.  Being the first race of the year I didn’t know my form, so I focused on myself and, despite staring slowly, I was able to find my pace,” said Kreutzer. The race records remain with today’s performance 1’1” up in both the men’s and women’s categories: Philip Goetsch 31’34” (2016) and Axelle Mollaret 37’39” (2017). The current ranking leaders remain Pascal Egli, 13th and French woman Christel Dewalle, but for the rest, the scenario has changed. Davide Magnini is now only 19 points behind Egli and climbs to second, like Lina El Kott. Kreutzer enters the ranking in 10th position. The next Vertical Kilometer® World Circuit race will take place again in Italy, with the Red Bull K3 in the Susa Valley, Piedmont, on July 28, the only triple Vertical Kilometer® race in the world.